Always-connected Chromebooks are back in business. A recent code-review on the Chromium Gerrit indicates that Project Fi and eSIM chips will be a feature for future Chrome OS devices. It’s early days still. There aren’t any current or announced products with eSIMS built-in, so this technology will likely have to wait for a new generation of Chrome OS devices to be released. Unlike a conventional SIM card slot, eSIMs are a permanent component of a device that is configured digitally. Instead of swapping SIM cards, you just register your eSIM with a network. eSIMs bring several benefits: they are network-agnostic, meaning that you can seamlessly change networks. They require less footprint on the device, so devices can be slimmer. Plus, you won’t have the hassle of dealing with PAC codes or cutting down SIMs to size. Despite all its benefits, eSIM rollout has been delayed by a couple of years and its adoption is largely dependent on network carrier support. At present, only a handful of network providers advertise support for eSIMs. Project Fi supports the standard and the Google Pixel 2 and Google Pixel 2 XL ships with an eSIM. With the recent news that more devices are supported on Project Fi, Google looks to be pushing its network to new customers. 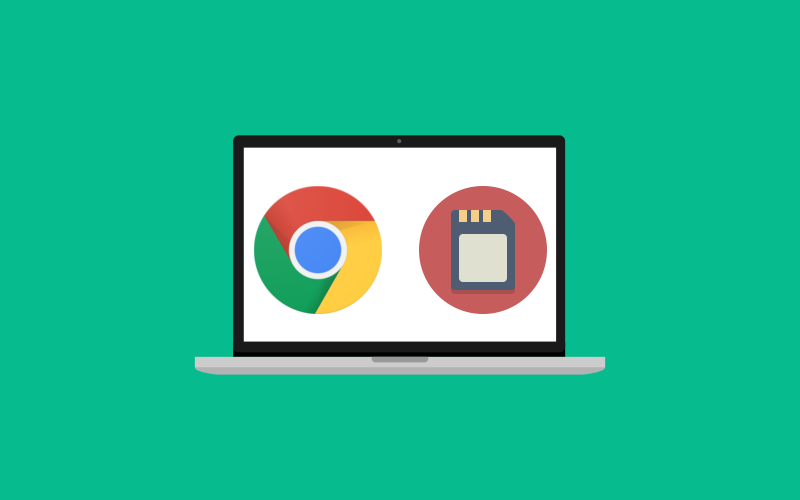 Lumping eSIMs into Chromebooks would be a novel way to get more people to take up the network. Chromebooks used to come with a SIM slot for road warriors. For a device that began as simply a browser, it was necessary. But with the saturation of free WiFi, the rise of smartphones, and better offline features for Chrome OS, the desire for a physical SIM slot quickly became superfluous. For whatever reason, 2018 has seen somewhat of a renaissance of always-connected PCs. Microsoft and Qualcomm are working on a new generation of always-on PCs. Perhaps the ubiquity of high-speed 4G and the pending rollout of 5G has made it less of a gamble for manufacturers. Whatever the case, Google has decisively thrown its hat into the ring for Chromebooks too.